Spring Planting! Gardeners across the country are eagerly anticipating the coming of balmy days and moist soil. The American Horticultural Society and Corona Tools are discussing planting tools on #Plantchat this week. By selecting the right tools for the job, gardeners save physical effort, reduce wear and tear on bodies and hands, achieve better leverage, and also save both time and money. Learn how Corona tools are designed for strength and comfort, and how to care for them with "the voice" of Corona social media, Chris Sabbarese. 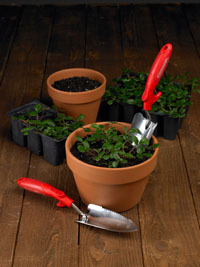 Contribute your ideas and experience with your favorite tools for planting. Check out the countdown calendar to Spring! This week there are great prizes in store for tweeters during the #Plantchat hour. Just show up and tweet with us and we'll have random winners throughout the chat. You could tweet yourself with a new Corona or AHS membership! Come join us for the fun, conversation and prizes and get ready for a new season of planting. Join @CoronaTools and #Plantchat co-partner, American Horticultural Society Digital Communications Manager, Charlotte Germane @AHS_Gardening, invite comments this week. This week's topic is Planting Tool Basics. 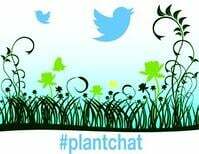 The live chat begins Monday, January 26, 2015 at 11 a.m. PST / 2 p.m. EST, were we come together with green industry experts and fellow horticultural tweeps each week to discuss all things related to plants and horticulture, since 2014.